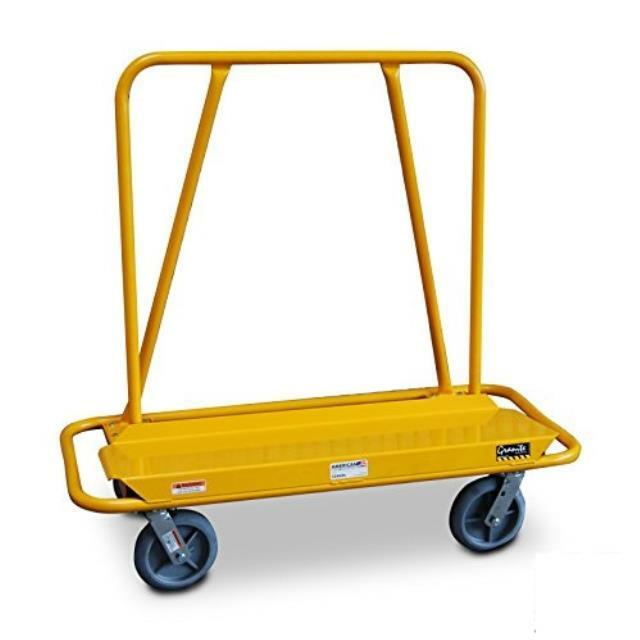 The drywall cart has an all steel structure of welded tubing. Corners are rounded and the bed is sloped to carry boards at proper angle. Comes with four heavy duty casters; two locking swivel casters and two straight casters.